Alex Rider has been through a lot for his fourteen years. He's been shot at by international terrorists, chased down a mountainside on a makeshift snowboard, and has stood face-to-face with pure evil. Twice, young Alex has managed to save the world. And twice, he has almost been killed doing it. 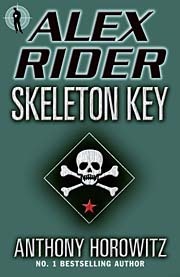 Uniting forces with America's own CIA for the first time, teen spy Alex Rider battles terror from the sun-baked beaches of Miami all the way to the barren ice fields of northernmost Russia. Come along for the thrilling ride of a lifetime.